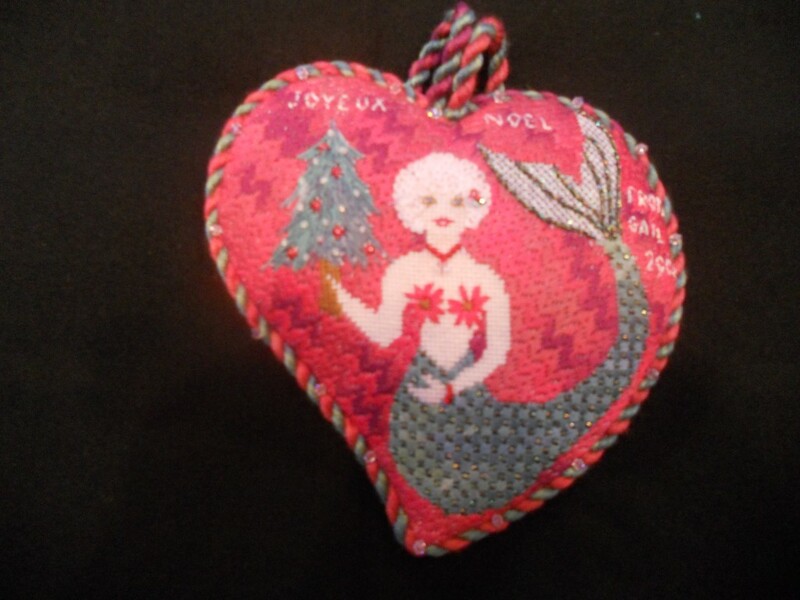 Over the years Gail Sirna has created an absolutely delightful series of mermaid hearts. She has made them as special gifts and for ornament exchanges. Overall they have a folk art style, but each is unique. Looking at them, you’ll get great ideas for your own stitching from this wonderful teacher and needleworker. She has an on-line gallery of them. Click on the thumbnail to see a bigger picture.